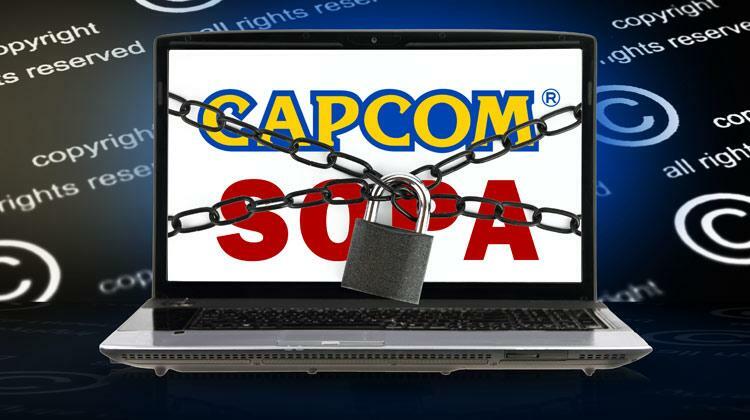 Capcom USA supports the controversial ‘Stop Online Piracy Act,’ better known as SOPA, Digital Trends has confirmed. The endorsement verification follows a flurry of confusion surrounding support of the bill from other major game developers, including Nintendo, Sony Computer Entertainment America, Sony Online Entertainment and Electronic Arts. Capcom, Nintendo, Sony, EA and 29 other game manufacturers are members of The Entertainment Software Association (ESA), a Washington D.C.-based advocacy group that regularly lobbies Congress on behalf of its members. The ESA has endorsed the bill, and appears on the House Judiciary Committee’s official list of SOPA supporters (pdf). Last week, Business Insider erroneously reported that Nintendo, Sony and EA had quietly rescinded support for SOPA — a detail that Digital Trends, and hundreds of other publications repeated. The BI report was based on the fact that their names did not appear on an updated version of the Judiciary Committee’s official list of supporters. The problem is that their names never appeared on that list — only the ESA did — making their removal impossible. Neither Nintendo, Sony, nor EA have yet responded to our request for comment on the matter, and it appears unlikely that they will respond. We are currently in the process of contacting other members of the ESA. SOPA, which aims to block access to “foreign rogue sites” that illegally distribute copyrighted material, has strong support from entertainment industry heavyweights, including the Motion Picture Association of America, major Hollywood studios and unions, and a wide variety of record labels. Television giants, like Comcast/NBCUniversal, ABC, and ESPN, also support the bill, as does the US Chamber of Commerce, the pharmaceutical industry, book publishers like HarperCollins, Visa, MasterCard, and a number of law enforcement organizations. On the anti-SOPA side stand Internet titans, including Google, Facebook, eBay, AOL, Yahoo, Twitter, Tumblr, PayPal and Wikipedia, as well as countless websites, bloggers, entrepreneurs, venture capitalists, educators, constitutional law experts, civil rights groups, the editorial boards of The New York Times, Los Angeles Times, and The Orange County Register. In total, 855 organizations and individuals appear on the Center for Democracy and Technology’s comprehensive list of vocal SOPA opponents. Thanks to an online boycott campaign started on Reddit.com, anti-SOPA activists pressured domain registrar GoDaddy to come out publicly against the bill, which the company helped draft, and from which it was explicitly exempt. Despite its backpedal on support for SOPA, many still view GoDaddy’s move as purely a PR stunt and not a representation of its true intentions. While few disagree that more robust copyright protection laws are needed, SOPA opponents warn that the broadly-worded bill would usher in unprecedented censorship online. If passed, SOPA would empower copyright holders and the US government to force Internet service providers to block access to the domain name of any website that facilitates the distribution of pirated or counterfeit content or goods. Search engines like Google and Bing could be forced to remove allegedly offending sites from their index. And online advertisers and payment services, like PayPal, would be mandated by the Attorney General to sever business connections with accused sites. The ability for copyright holders to target any US-based site that they believe fails to adequately curb access to offending “foreign rogue sites” will create a risky environment for online companies, thus suffocating online innovation, opponents say. Rep. Lamar Smith (R-TX), the chief sponsor of SOPA, assures that there is no reason any law-abiding US company should worry about the consequence of this bill becoming law. In addition to the civil rights- and business-related concerns, 83 technical experts, many of whom built the architecture of the Internet, insist that by blocking domain names in the way that SOPA outlines, the infrastructure of the Internet itself will be at risk, thus making the entire Web less stable and more vulnerable to cyberattacks. These experts also say that SOPA will not achieve its goal of stopping online piracy since offending sites will still be accessible through their IP addresses. SOPA remains in limbo while Congress is on its holiday recess. House Judiciary Committee markup hearings will resume sometime after the House convenes on January 17.